September 2012. 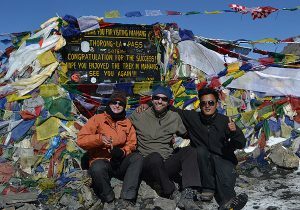 My friend Katharina and I spent two great weeks on the Annapurna circuit thanks to our guide Chitra. He is indeed a very reliable, experienced and always friendly and helpful guide. And not to forget Himal and his excellent organization. We can warmly recommend making this trip!